If every smoothie shop around had their nutritional facts listed, we bet that many of you would second guess yourself when it came time to order your favorite smoothie or smoothie bowl from down the street. 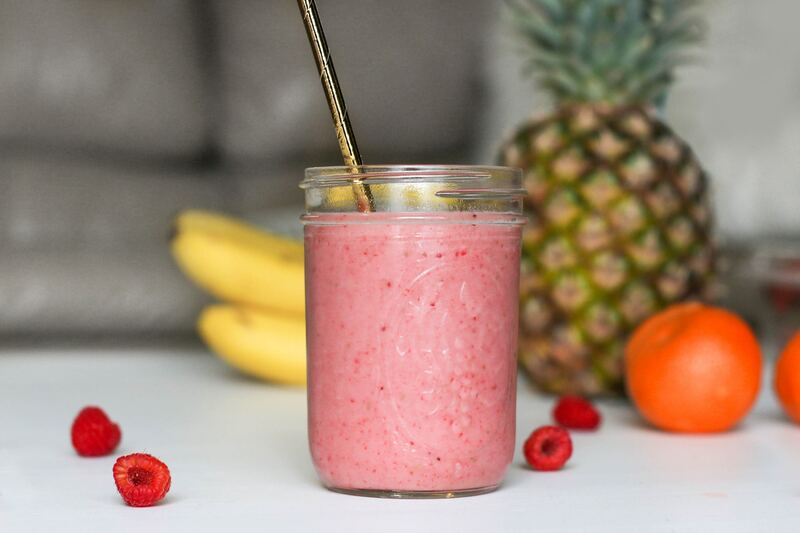 Even though these smoothies and smoothie bowls taste as good as they look on Instagram, there may be a lot more hidden calories in there then you think. What if we told you that some of these smoothies pack in as many grams of sugar as a Mcflurry from McDonald’s? Yeah, we are serious. The good news is that smoothies and smoothie bowls are packed with other great nutrients too, so at least it is not all just blood level spiking craziness. If you aren’t making the smoothies or smoothie bowls yourself here are some tricks to help you order healthier. When in doubt, a good trick is to add protein. Adding protein can reduce the spike of glucose in the blood because it slows down carbohydrate digestion and absorption, which reduces the levels of insulin flowing on in. Most of the time when it comes to smoothies, smoothie bowls, and juices, ordering down is the best option. A lot of these shops need to make smoothies fast so, in order to keep prep work to a minimum, they use fruit juices instead of the whole fruit. Using just juice instead of the whole fruit adds a lot more sugar and less fiber. Even though it is ‘natural sugars’ the effect this has on insulin and glucose levels like we discussed above, is what contributes to fat storage around the abdomen. Definitely when it comes to juices, make them as green as possible. And when we say green, we are not saying make them with green kiwis, green apples, green grapes, etc. No, we mean to make them as full of green vegetables as possible. We understand that just straight up green veggies can make you gag so adding a bit of lemon and ginger is a great way to calm down that gag reflex a bit. When in doubt, just ask. Ask about the breakdown in fruit in each size. Ask if there is added sugar in the acai. Ask if they put fruit juice or sweetened yogurt in the smoothie. Just ask. Trust us, you won’t be the first person they have heard the same question from.